MASVINGO – Events happening in Zanu PF party in Masvingo province can be best described as the Generation 40's (G40) kiss of death as the faction is going for the kill ahead of the extra-ordinary congress slated for December this year, a development which has seen members of the rival Team Lacoste faction being eliminated at every level over a spate of allegations. The latest most prominent casualty at the moment is provincial chair Ezra Chadzamira although there are indications that his colleagues in the province will soon be booted out too. Chadzamira was last week suspended together with youth secretary for administration Brian Munyoro on allegations of indiscipline. Though Chadzamira and Lacoste members on Monday hurriedly organised a meeting which ran parallel to the welcome celebrations for the newly appointed Provincial Affairs minister Dr Paul Chimedza to try and reverse the suspensions, it seems G40 is already in control of the province now. Addressing members at the welcome celebrations, newly appointed Minister of Foreign Affairs Dr Walter Mzembi, who was the guest of honour, warned Chadzamira that resisting suspension would result in him being kicked out of the party altogether. "Nhenjana is the acting chairman because the former chairman Ezra Chadzamira was relieved of duty last week. If you are relieved of your duties, you accept and follow the procedure as per the letter served to you. "I was once relieved of my duties in 2004 and I did not fight the suspension but waited for due process. When I was cleared of any wrong doing, I went back to my office. It does not help to fight suspension and start leading rebel groups in Masvingo, we don't want that. "You should not mislead people to follow your resistance movement to rise against President Mugabe. Saka ndiri kumuyambira muchinda uyu kuti kana wanzi uri suspended uchenjere kudzingwa zvachose (I am warning this guy [Chadzimira] that if he fights the suspension, he risks being fired from the party)," said Mzembi amid ululations from the crowd. Provincial commissar Jeppy Jaboon, who was the Master of Ceremony (MC), kept the crowd in stitches by rubbishing Team Lacoste at every turn. Mzembi, who is now referred to as the most senior member of the party in the province, said he will never watch indiscipline without taking action. "When one third of angels in heaven turned against God in heaven they were kicked to earth and they influenced people to do bad things like what Chadzamira is doing. Two thirds of the angels remained in heaven and that is where the concept of two thirds majority springs from. "If you win elections with two thirds majority, like Zanu PF, it means you will reign and God still reigns because he has two thirds. We need discipline, discipline, discipline," said Mzembi. 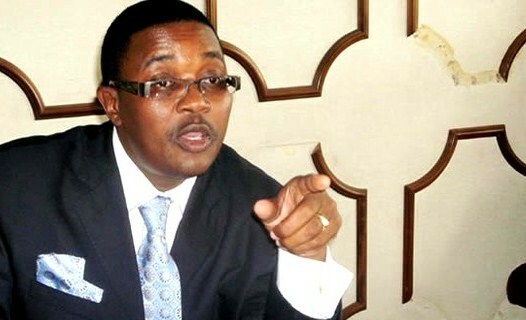 President Mugabe's 'blue-eyed boy' Mzembi was credited for pushing for Chimedza's appointment as the resident minister. Dr Chimedza said he will keep his doors open to everyone and will try to build bridges to create good relations in the province. "I want to thank the President for giving me the privilege to serve. I will work towards bringing the people of Masvingo together. I know others will fight to create chaos and there is nothing I can do about them," said Dr Chimedza. Jaboon took a dig at the separate meeting held by disgruntled Chadzamira and company, saying although they were still in denial but the truth will soon sink in. "Vachakabatwa nechiveve but they will soon come to terms with reality. They have been firing district chairpersons who did not support their cause but we are going to reinstate all of them. "Kucongress hakuendwi nematsotsi. The congress shall only be attended by the people who support the President not those who pretend to like him by day and plot against him by night," said Jaboon. While Amasa Nhenjana is now acting chairperson of the province, Chiredzi West legislator Darlington Chiwa has been appointed provincial secretary for administration replacing Brian Munyoro who was suspended together with Chadzamira. Chadzamira and other Lacoste minions snubbed the welcome ceremony of Dr Chimedza and caucused at Masvingo Provincial Show grounds where they were leaking their wound. They purportedly nullified the suspensions by the national commissariat describing Saviour Kasukuwere as mentally retarded.